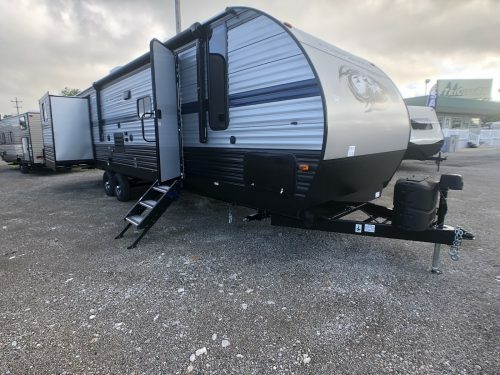 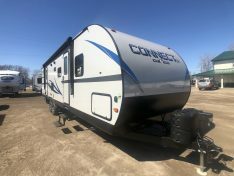 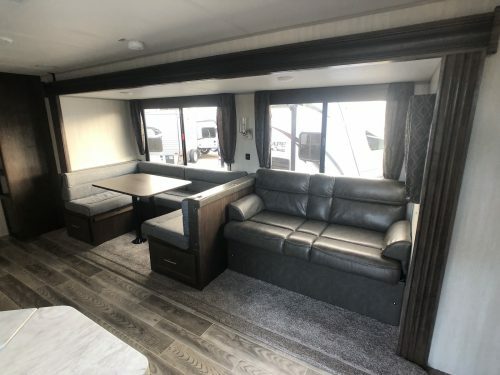 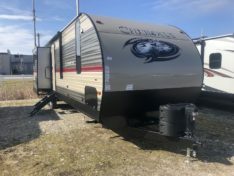 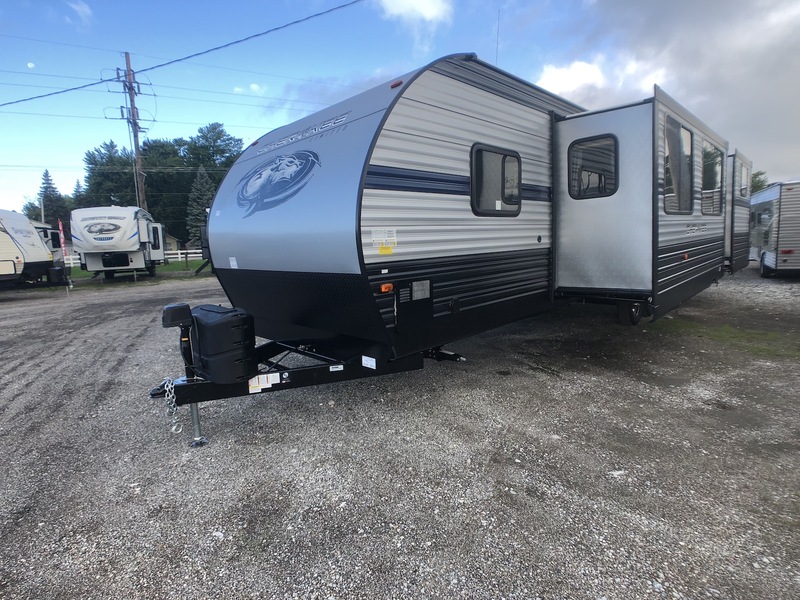 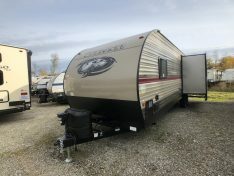 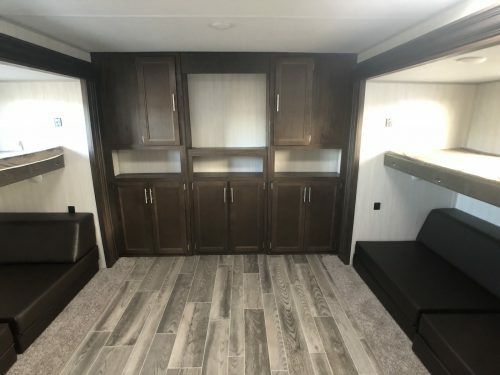 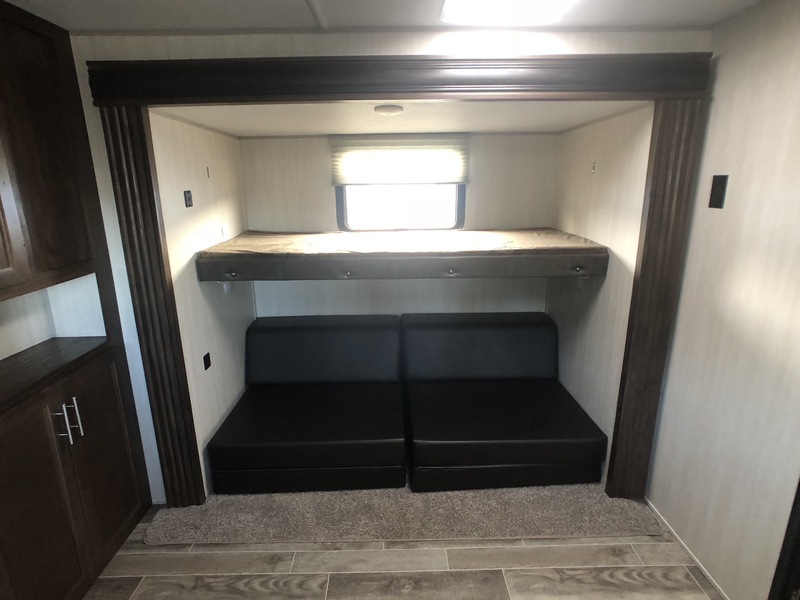 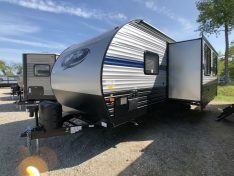 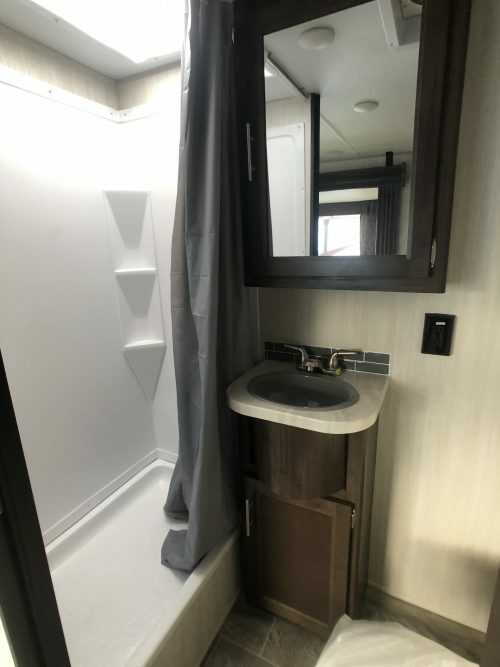 The Forest River Cherokee 304BS Bunk Room travel trailer Features a Large rear bunk room with opposing slide out and great storage. 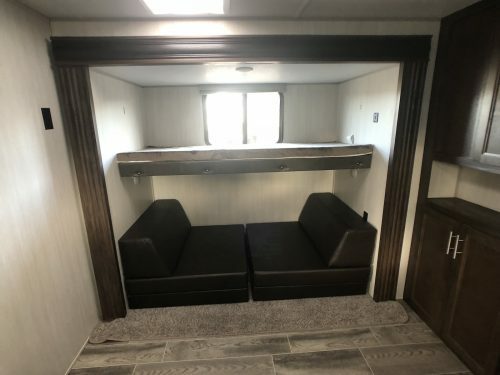 In the mine living area, you have a super slide out with a u-dinette and sleeper sofa. 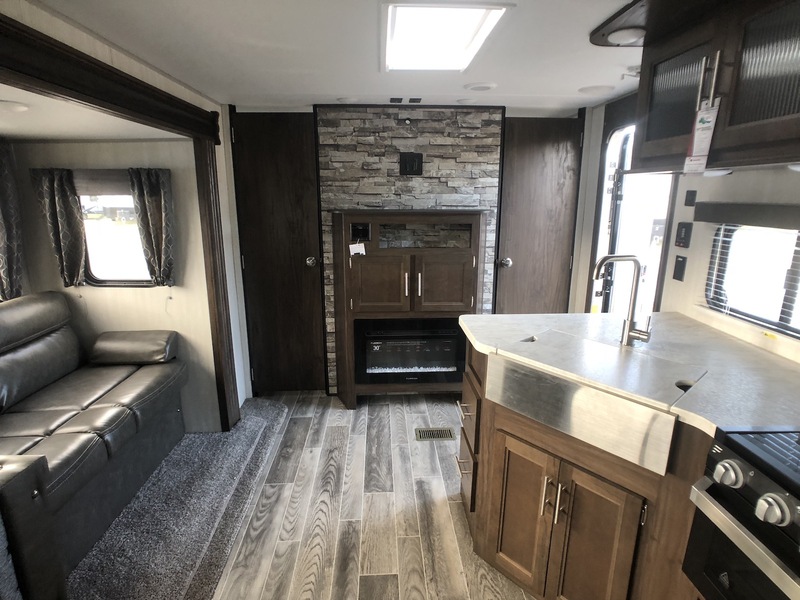 Across from the main slide out is the large kitchen area with a single bowl sink, gas/electric refrigerator, 3 burner cooktop, and oven. 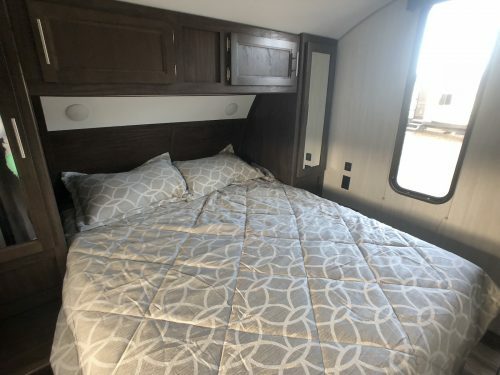 The master bedroom has a queen walk around bed with wardrobes on each side. 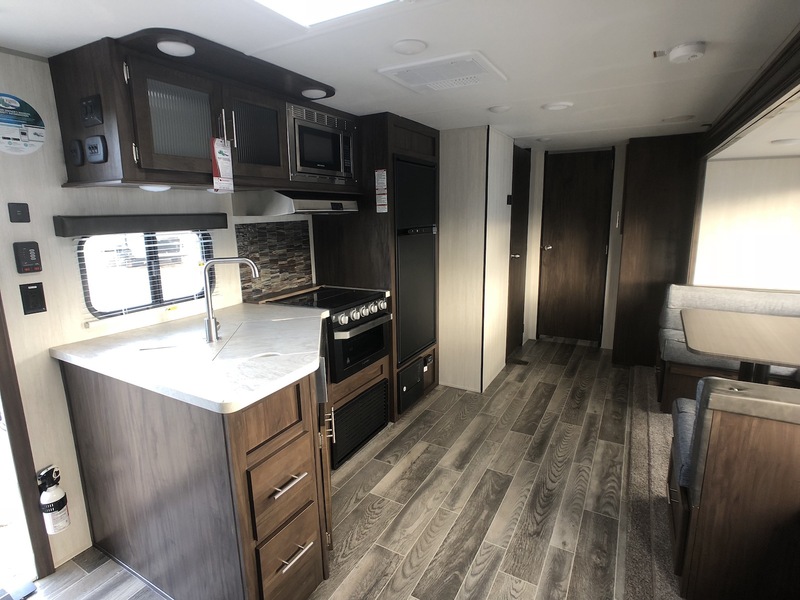 The outside of the 304BS Cherokee is equipped with outside speakers, tv hookups, power awning with LED lights, rear travel rack and more. This Cherokee 304BS by forest river has sleeping for 10 people.